America’s original whiskey has become its cult spirit. If you’ve had this kind of exchange, congratulations, you are a fellow member of the Rye Whiskey Fan Club. I raise my glass of Van Winkle Family Reserve to you. If not, then you really must join the group—or, let’s be honest, cult. Because once you become indoctrinated—it just takes a sip—leaving may require the work of a deprogrammer. Seriously. People go bananas over this stuff. What other whiskey suffers periodical shortages because cases are snatched up before they’re even made? Why do recently released bottles quickly find their way onto eBay at enormously inflated prices as if they were this season’s must-have Christmas toy? Why do I habitually pop into random liquor stores to see if, on the off chance, they have my favorite rare bottle collecting dust somewhere? The explanation for the rabid following is stupid simple: Rye is damn good stuff. Think of it as bourbon’s edgier cousin. 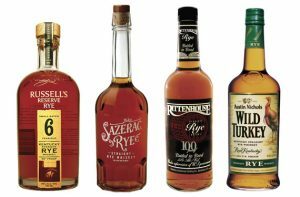 Where bourbon is primarily made of corn, giving the whiskey a smooth and sweet flavor profile, rye is at least 51% of its namesake grain, lending it a spicier, fuller bodied, angular taste. 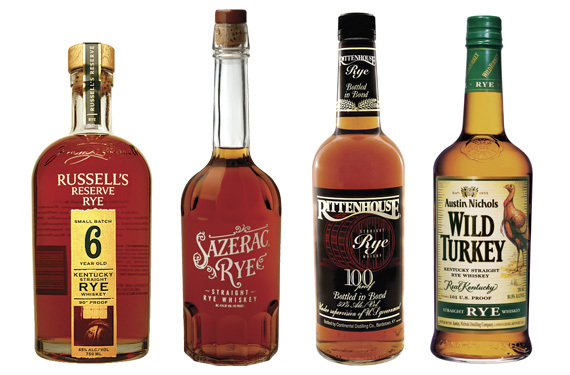 If you like bourbon, but want to try something with more muscle, you need to get yourself some rye.